Join fellow community members on Wednesday, November 2 at 6:30 p.m. for a Community Open House to learn about the scope, process and schedule of the Eisenhower East Small Area Plan Update. The Open House will be held at the U.S. Patent and Trademark Office, Madison Building, 600 Dulany Street, Lower Atrium. The Lower Atrium is located on the Eisenhower Avenue side of the Madison Building and is accessible from both Eisenhower Avenue and Dulany Street. 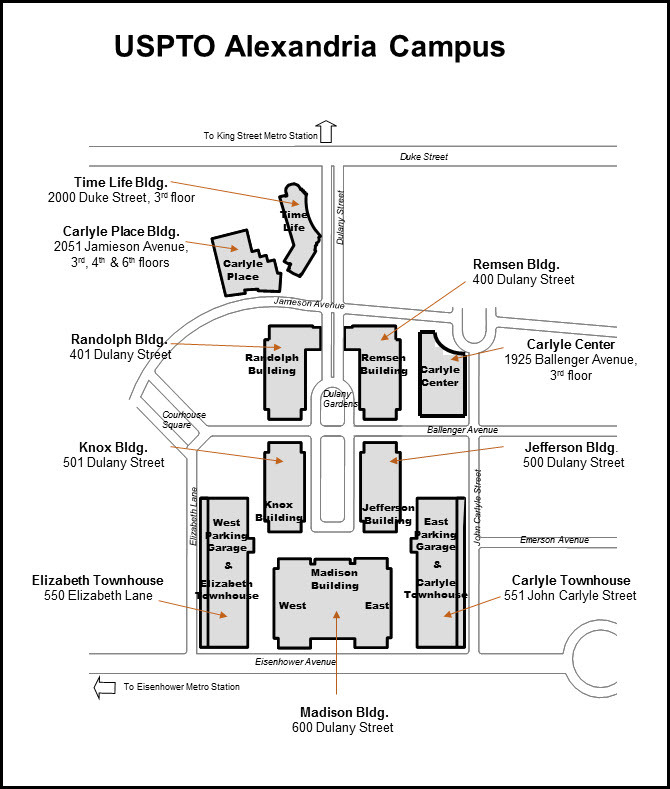 Parking is available on street or in the East Parking Garage located at 551 John Carlyle Street. A limited number of complementary parking passes will be available to attendees on a first come first serve basis. Alternatively, the Open House is a short 3-block walk from the Eisenhower Avenue Metro Station and is also within walking distance from the King Street Metro Station. Two Capital Bikeshare stations are located near the USPTO at Eisenhower Ave & Mill Race Lane and Ballenger Ave & Dulaney St (slightly closer to the Open House location). Questions? Contact José C. Ayala, Urban Planner, 703.746.3820 or visit alexandriava.gov/92700 for more background information on the planning process.